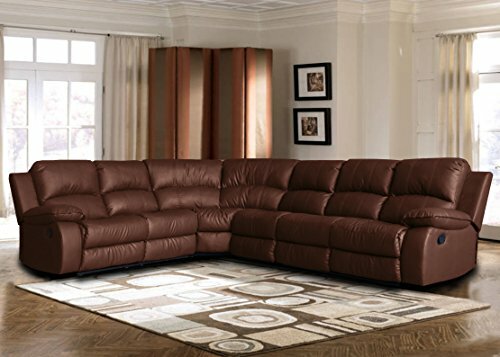 Divano Roma Furniture - Our extra large sectional recliner allows for families to sit and relax featuring 2 end recliner seats and ultra plush and overstuffed seats upholstered in soft and durable bonded leather. 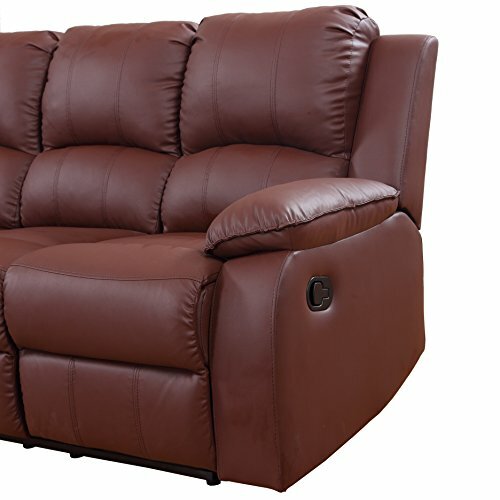 Can sit up to 6 people comfortably. 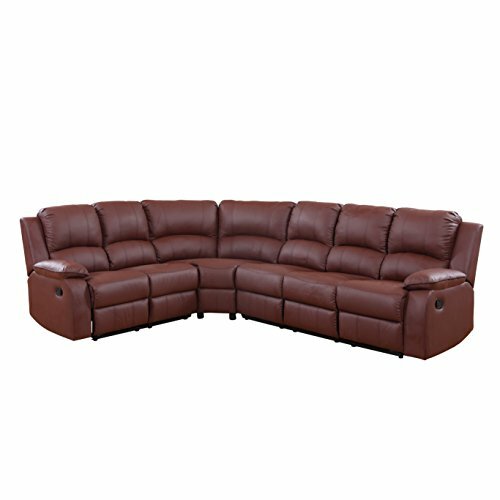 Overall Length- 81" (A)+ 104"(B) Width- 36" Height- 39" Seat Height- 19" Seat Length- 53" (A) + 74" (B) Seat Cushion Width- 20" Recliner Length (all the way)- 64" Legs Height- 3"